Bobi Wine, musician-turned-opposition leader, punctuated his latest concert with calls for the thousands of fans attending to register for voter ID cards. This is obviously not your typical way of hyping up a crowd. But Bobi Wine’s youthful following appears as committed to his music as to his “People Power” movement and his prospective 2021 presidential bid. The 36-year-old Wine has succeeded in capturing national—and international—attention, forming a new centre of gravity in Ugandan politics. After winning a by-election to become an Independent MP, he emerged last year as a key figure in the fight against the removal of presidential age limits, a constitutional reform eventually passed by Parliament in a bid to extent the septuagenarian President Museveni’s stay in office. This year, Wine led street protests against unpopular new taxes on mobile money transfers and social media use. He also campaigned in several parliamentary by-elections, contributing to a string of victories for his preferred candidates, many of whom started out as underdogs. During one of these campaigns, in Arua last August, Bobi Wine was detained and tortured while in custody, causing an international outcry and driving his rising political star still higher. He had, by then, all but eclipsed the long-time opposition stalwart, Kizza Besigye, whose own preferred candidates—from his Forum for Democratic Change (FDC) party—were losing to Wine’s, mostly independents or else hailing from smaller opposition parties. Wine’s political pull was on show again in late September when former FDC party president, Mughisha Muntu, announced he was leaving FDC to lead his own “New Formation”. Muntu had worked alongside Wine in several previous by-elections, and part of the appeal of his new group was the promise of its aligning with Wine in the 2021 elections. Drawing on a division within FDC, between himself and Kizza Besigye, Muntu also brought several prominent FDC figures with him, including former party Secretary General Alice Alaso and an array of local leaders. Several FDC MPs are rumoured to be planning to join as well, but only after 2020 to avoid losing their parliamentary seat and triggering costly by-elections. Undermining parties, or more of the same? Taking a step back, these recent developments present something of a paradox. Even as excitement grows in some quarters about a rejuvenated, energetic opposition, opposition parties are in flux. The FDC—the largest such party—is in a very precarious position indeed. While it may well be “too early to write off FDC”, as one observer proclaimed, the party’s deputy Secretary General was less sanguine, declaring, “People Power has swallowed us.” Meanwhile, Uganda’s second-largest opposition party, the Democratic Party, may try to gain from FDC’s loss, but it has its own internal differences to manage. Even as the main opposition parties find themselves in a tricky situation, critical observers have been quick to point out that neither Bobi Wine’s “People Power” nor Muntu’s “New Formation” have anything like a party organisation of their own. They have “rebranded” the opposition, but “Bobi Wine has not been tested to show if he has the capacity and structures to simultaneously influence numerous victories countrywide.” Muntu similarly lacks organisation at the “nuts and bolts level”. There is another point to be made, though. As some People Power sceptics concede, Ugandan party organisation is generally weak, not only among the opposition parties but for the ruling National Resistance Movement (NRM) as well. Ad hoc networks of political leaders often appear more significant in shaping political organisation than do formal party structures. Notably around nominations, factional competition dominates within all the major parties, undermining their internal coherence while also blurring the boundaries between them. For instance, in the last election, some FDC candidates were seen as close to NRM leaders while NRM candidates were branded FDC-leaning. Meanwhile, the Ugandan Parliament now has more Independent MPs—most of whom previously lost their party nominations but ran anyway—than it does MPs from opposition parties. Given the weakness of the existing party system, the politicians of all stripes now coalescing around Bobi Wine are not an aberration; their style of loose alliance is not something new. The only striking feature is the range of actors involved. As briefly noted, these include Independents and MPs from smaller parties like DP and Jeema. Some FDC are also sympathetic as are a considerable number of NRM MPs, 27 of whom have been excluded from NRM parliamentary caucus meetings after voting against the lifting of presidential age limits. Political coordination through Parliament, not parties? Like Wine’s loose cross-party formation, though, this mobilisation via Parliament is not a new phenomenon; rather, it recalls the pre-2005 “no-party” period when the Young Parliamentarians’ Association (YPA) and later the Parliamentary Advocacy Forum (PAFO) were at the heart of opposition activity, and even—in the case of PAFO—contributed directly to the formation of the FDC. This entry was posted in Africa, Uganda on November 16, 2018 by Michaela Collord. This year, President Yoweri Museveni has been making the headlines for all the wrong reasons. Three developments in particular have undermined his legitimacy both at home and abroad. First, he orchestrated the removal of president age-limits (having previously done away with term-limits) so that he can stand for election for a sixth time in 2021. Second, his government’s horrendous abuse of opposition (or more accurately independent) leader Bobi Wine, most notably his torture while in detention, led to widespread condemnation. Third, Museveni’s threat that he can “do away with parliament” may have intimidated some of his legislative opponents, but it has also called into question the legitimacy of his regime. Taken together, these developments suggest that the National Resistance Movement (NRM) government finds itself in a particularly difficult moment – and faces pressures that are likely to get worse before they get better. Let us start with the government’s reaction to the challenge posed by the musician turned politician Bobi Wine. The heavy handed state response suggests that there is a growing recognition within the NRM that the president’s efforts to prolongue his stay in power are not without costs. By forcing through a removal of constitutional age limits – despite fist fights in parliament, violent protests outside, and a population that supports presidential term-limits – Museveni has made it clear that he both intends to rule until his dying breath and is becoming increasingly insensitive to popular sentiment. This is a dangerous strategy in at least two ways. First, it signals to other leaders within the NRM that their own presidential ambitions will come to naught until Museveni leaves the political scene – which gives them little reason to wish him good health. At the same time, it has made the president look increasingly out of touch with popular opinion – a risky move in an era in which even old school nationalist leaders such as Robert Mugabe have fallen by the wayside. The Bobi Wine controversy must be understood against this backdrop. In another year, in a different context, the government might have responded to Wine’s (successful) efforts to help another independent candidate to win a parliamentary by-election in the Arua municipality with a more subtle strategy. But in this particular political moment, Wine represented a more significant threat to the NRM’s authority than usual, and so triggered a more brutal response. As a “youth leader” of 36, Wine is less than half Museveni’s age. Consequently, his campaign has thrown the president’s gerontocracy into sharp relief. At the same time, Wine’s popularity in urban areas stands as a powerful reminder that Museveni’s rule is premised on his control of the rural vote. Over the last decade, the opposition has steadily gained control of towns and cities. Shorn of the ability to use traditional leaders, patronage and coercion to mobilise support, the NRM typically loses out to Kizza Besigye’s Forum for Democratic Change. Put simply, if Uganda was an urban country, Museveni would have lost power some time ago. While the government’s unacceptable treatment of Wine led him to flee the country – he is now in the United States recovering from his injuries – it has not undermined his influence. Indeed, if anything it has turned a local politician with limited resources and resonance into an internationally known martyr for the opposition cause. As a result, someone that was previously thought of as an independent member of parliament is now being talked about as a potential future presidential candidate. First, as Michaela Collord has pointed out, Museveni has made similar statements before and they are usually part of a strategy of brinkmanship – to date, the president has yet to follow through on such a threat. Thus, as Nicole Beardsworth has suggested, it is unlikely to happen. Second, as Sam Wilkins has argued, the NRM regime relies on the hard work and political mobilization of Members of Parliament, who provide a crucial link to the grass roots. Shutting the legislature would be counterproductive, “alienating hundreds of people on whom he [Museveni] relies”. Third, shutting the legislature would undermine the myth that Uganda is a democratic regime. In addition to highlighting the authoritarian foundations of the NRM government, it would make it almost impossible for the country’s international partners – who have done their best to overlook Museveni’s failings thus far – to continue providing financial support. All told, these points suggest that Museveni’s situation is more constrained than it first appears. The threat of an authoritarian crackdown may well force the NRM’s critics on to the back foot, but the president cannot actually follow through with all of his threats without simultaneously undermining the platform on which the legitimacy of his regime depends. Significantly, leaders who come to rely on making empty threats suffer from a fundamental weakness, namely that they become ever more vulnerable to someone calling their bluff. As Micheal Mutyaba has argued, the conditions now exist both for greater opposition to Museveni’s rule to emerge, and for the president to adopt increasingly authoritarian strategies to maintain political control. The likely consequence of these two tends is growing contestation and a new era of political confrontation. Such a development would be particularly dangerous for Museveni, because it would undermine his claim to be able to deliver peace and order – a claim that has undermined the NRM’s legitimacy ever since it took power in 1986. Back then, the critical reference point for domestic and international audiences was the incompetent and unstable regimes of Idi Amin and Milton Obote. Thirty years on, Ugandans are starting to ask for more, and the NRM is struggling to deliver. This entry was posted in Africa, Uganda and tagged President Yoweri Museveni, Uganda on September 6, 2018 by Nic Cheeseman. On 4 March, Uganda’s President Museveni made the surprise announcement that he was firing both his Inspector General Police (IGP), Gen. Kale Kayihura, and his Security Minister, Lt Gen. Henry Tumukunde. This came after months of infighting between the two men and their respective agencies, the Uganda Police Force (UPF) and the Internal Security Organization (ISO). Despite initially dominating headlines, the two-man feud is not the sole reason—or perhaps even a particularly significant reason—for the shake-up. Other factors include the police’s increasing involvement with criminal organisations, public frustration with police incompetence, and perhaps most significant, Museveni’s apparent misgivings about Kayihura’s loyalty. None of these concerns, even the last, can be remedied through a simple reshuffle. They thus invite further reflection, particularly regarding President Museveni’s past management of security in Uganda, the growing partisanship and impunity of the police force, and what new security strategy Museveni may now adopt. Professionalism in the Ugandan police declined as it became more of a partisan fighting force, a transformation that former IGP Kayihura largely oversaw. Veteran journalist Charles Onyango-Obbo gives a particularly trenchant analysis of this process, although other observers also offer useful summaries. In brief, the Ugandan Police Force first underwent a process of professionalization through the 1990s and into the early 2000s. The two IGPs during this period were both career police officers and succeeded in turning the Force from “a mess” into a “boring place”, run in as “technocratic” a manner as it has ever been. Some analysts contest this reading, noting that the Force, even in the 1990s, was not without controversy. But this initial period of institutional consolidation and professionalization certainly contrasts with what followed. The first key change came in 2001 with the transition to IGP Wamala who, rather than a professional police officer, was a military man. But it was Kayihura’s accession to the IGP position in 2005 that marked the real watershed. Under his leadership, the Force became increasingly politicized internally and more overtly partisan in its actual policing. The reasons for the change were multiple. They included Museveni’s frustration with a police force know for voting “badly”. But the change in policing came alongside a more fundamental shift in the NRM’s overall security strategy. As Onyango-Obbo argues, by the early 2000s, Museveni was increasingly keen to distance the military from overt partisan activities, easing its metamorphosis into a seemingly more professional force worthy of taking a lead in regional peace-keeping efforts. This withdrawal of the military left the police to handle partisan issues at home, and this even as the political threat posed by the opposition grew. This threat, along with Museveni’s personal trust in Kayihura, helps explain why the annual budget for the police exploded under his watch, going from Shs58b (£11.2m) to Shs600b (£115.5m). Flush with cash, the Police spent some of it on new equipment, thus becoming increasingly militarised. This trend only grew more pronounced following the unprecedented 2011 “walk to work” protests, which Kayihura was instrumental in suppressing. Ahead of the 2016 elections, Kayihura invested in a new initiative, the build-up of the so-called “crime preventers”, a community policing force that supposedly numbers 12m (but undoubtedly far less). Made up of young, largely untrained recruits, the “crime preventers” have been used in partisan policing efforts, often more as a threat. With the transfer to a new IGP, Okola Ochola, some observers are hoping for reform in the police. Ochola is the first career policeman to serve as IGP since 2001, and his early actions do appear aimed at restoring a degree of professionalism. Only a few weeks in the job and Ochola has already redeployed seven officers, most of whom were previously deployed to the IGP’s office “as a punishment” due to Kayihura’s distrust of them. He has also indicated his distaste for the “crime preventers” and declared that he will weed out police officers deemed unfit. These will presumably include many of the younger recruits Kayihura brought in to serve as his loyal base whilst undercutting older, more experienced officers. Much more needs to be done, of course, to bring about a change in the Police. Some also doubt that this change is likely to occur. They point, in particular, to Ochola’s new deputy, Brigadier Sabiiti Muzeyi, who they suggest could scupper reform efforts. Muzeyi previously commanded the Military Police and his rapid rise within the UPDF was aided by Museveni’s son, Gen. Muhoozi. But even if Ochola were to professionalise the police, this would raise fresh questions. Would a more professional force retreat from partisan policing? If it did, who would take over the partisan dirty work? While it is far too early to say, a more professional police under Ochola could make for a more overtly partisan military, reversing earlier efforts to limit the UPDF’s domestic political interventions. Only this week, Museveni declared that the crime preventers will now serve under the military and that the new crime preventers team should meet the Chief of Defence Forces, Gen. Muhoozi. Museveni went further, insisting that crime preventers was nothing new and had been part of the National Resistance Army going back to the 1980s. Even as we contemplate the possibility of another shift in Museveni’s security strategy, one thing about which we can be sure is that security forces will continue to be used for partisan ends. The only change may be which kind of officer—military or police—holds the gun. This entry was posted in Africa, Uganda and tagged President Museveni, Uganda on March 30, 2018 by Michaela Collord. Twitter and WhatsApp are abuzz. Posters screaming “Youth Against Dictatorship” cover Kampala. Activists planning a mock funeral for the President are under arrest. The furore comes after the announcement in the Uganda Gazette that a Constitutional (Amendment) Bill is soon to be published, paving the way for it to be tabled in Parliament. Among other provisions, the omnibus bill is expected to propose scrapping article 102(b) of the Constitution, which sets a presidential age limit of 75 years. Once the bill is gazetted, a Constitutional Review Commission will be appointed to gather citizens’ views on the proposed amendments, although it is unclear to what extent the Commission could influence the fate of the crucial, age limit article. Uganda’s President Yoweri Museveni, in power for over three decades, will be turning 76 ahead of the next elections in 2021, making him ineligible to run unless the age limit is dropped. The latest proposed constitutional change comes after Museveni already saw through the removal of presidential term limits in 2005. Opposition to the age limit amendment has come from all quarters. Four-time opposition presidential contender Dr. Kizza Besigye has made a series of statements, taking to Facebook to declare, “The people of Uganda are definitely closing in to take back their power and embark on a TRANSITION to a new dispensation.” The opposition Forum for Democratic Change, Democratic Party and Conservative Party have condemned the move while youth from the three parties are behind a pro-age limit campaign dubbed Nchi Yetu (“our country” in Swahili). Somewhat less predictably, members of the ruling National Resistance Movement (NRM) youth league have also rallied around a campaign against the proposed changes, leading to their hasty arrest. More concerning still, from the President’s perspective, is the opposition to the age limit amendment amongst his own rank-and-file MPs. A survey of parliamentarians conducted last year by the civil society network CCEDU with the support of NDI pointed to high levels of unease over the then anticipated move to scrap age limits. Of the 185 respondents (from a randomly selected sample of 196), 73 percent said they would not support a constitutional amendment on age limits. This included a large majority of NRM MPs (65 percent) while Opposition and Independent MPs were overwhelmingly against (97 and 81 percent respectively). Interestingly, MPs from the NRM’s traditional strongholds, the Western and Central regions, were most likely to oppose an amendment. A more recent and less systematic effort to survey MPs spearheaded by the independent Observer newspaper reveals an enduring, lukewarm attitude towards the proposed changes within the NRM. Yet however strong the pushback, it is also clear the President’s camp has its own plan. Indeed, whereas Museveni has repeatedly insisted he was “not interested in age limit talk”, his supporters launched a series of semi-coordinated actions shortly after the 2016 elections, the aim being to cultivate an appearance of grass-roots pressure for Museveni to stay. A number of NRM district conferences passed resolutions calling on MPs to lift presidential age limits. An NRM MP also tabled a private members bill in Parliament calling for the removal of age limits for judges. This was widely seen, though, as a ploy to start a debate during which the issue of presidential age limits could be introduced. It remains part of the government strategy to present pressure for a constitutional change as originating outside of State House. In an article entitled “Don’t distort constitutional amendment debate”, the government spokesman affirmed, “the issue of age limit has been raised in various forums with many people openly urging President Museveni to stay on and complete what they deem unfinished business.” Even as Museveni enacts the role of disinterested bystander, though, internal manoeuvring continues to intensify. The plan to introduce legislation to Parliament was apparently adopted after a proposed constitutional referendum was deemed too risky. Charged with mobilising their colleagues is a small group of loyal MPs who have been actively advocating for the proposed amendment in the corridors of Parliament. There are also plans, according to one MP, “to go district by district, convincing councils to pass resolutions, which the MPs will be compelled to support.” This “convincing” will not depend on the NRM leaders’ powers of persuasion alone. Reports are filtering through that the police and military will receive more equipment to crack down on popular protest. At the same time, a large campaign war chest has been amassed, leading NRM heavyweights to jostle over who will act as campaign coordinator and thereby control associated patronage resources. Some of the money is already reportedly earmarked, including: (a) for NRM MPs, who will receive USh3m (roughly £650) per caucus meeting, although there are also rumours in Parliament that MPs may demand a total of as much as Ush300m each; (b) for as yet unpaid members of the NRM Central Executive Committee, who will start receiving a salary USh25 (£5,400) per month, close to that of the highest paid civil servants and larger than the total pay package of an MP; and, (c) for members of the National Executive Committee, who will receive USh9m (nearly £2,000) per month. Through a combination of coercion and money, Museveni’s camp still seems likely to succeed in pressuring Parliament into removing presidential age limits. The extent of opposition along with the elaborate and costly plans to overcome it nevertheless speak to Museveni’s increasingly strained hold on power. In 2005, it took a one-off, Ush5m bribe to get MPs to scrap term limits, a move which was at the time shocking and now seems almost pedestrian. The campaign to remove term limits was also fraught, but it came before the rate of patronage inflation reached the current, dizzying heights. Hovering above the current struggle is the question of what will become of the NRM’s legacy, and thus what lies in Uganda’s political future. After first seizing power in 1986, Museveni promised “fundamental change” and later oversaw a constitutional review process, which was at the time praised by many. The accolades have long since petered out, leaving prominent figures like Kizza Besigye to denounce the increasing personalisation of power under the NRM, quipping, “President Museveni has turned himself into the Constitution.” Museveni’s own supporters are hardly reassuring on this point, with one MP insisting, “The person who has managed to build all [the] institutions is Museveni. If he has built the institutions, which have ensured that the country is stable, why should he be denied the chance to continue leading the country?” It is unclear what exactly is distinctive about “institutions” when they are presumed to come from—and seemingly also to depend on—a single individual. Ultimately, given the kind of political order Museveni has cultivated, it is now easier to imagine a scenario whereby the age limit is scrapped and he continues as President than it is to imagine the alternative. Should the age limit remain, the ensuing succession battle could easily fracture the NRM, as has happened to numerous other dominant parties. Opposition contenders, most obviously Besigye, could have another go at winning an election in 2021. But it is hard to picture Museveni—or, crucially, the military upon which he has focused so much of his energy—accepting a Besigye win. Indeed, as has proved the case in Uganda’s past, should Parliament resist executive pressure, the balance of power would likely lie with the security forces. But then they too contain their own internal factions. In short, Museveni’s Uganda is one where, paradoxically, there would be far more political uncertainties introduced if the Constitution remained intact with age limits preserved. That’s in the short-term, of course, as lifting age limits only postpones the inevitable succession. Meanwhile, the many young Ugandans who have only ever known a Museveni presidency will, again, see their dream of a change deferred. And, to borrow a line from Langston Hughes, what happens to a dream deferred? UPDATE: On July 13th, the government surprised MPs by tabling in Parliament a Constitutional (Amendment) Bill, which unlike the promised omnibus bill, addresses only one issue, and not age limits but land. As explained by the Deputy Attorney General, the amendment will enable the compulsory acquisition of land for “development” with government compensating private land owners and taking over the land immediately, thereby circumventing what is now a lengthy process of negotiation over what compensation is due. This proposed amendment is extremely controversial in its own right, which explains why it has remained stalled on the government’s to-do list since the 1990s. What’s more, the government has by no means given up on its aim to introduce an omnibus bill. The Deputy AG made it clear that the much-awaited bill, containing an amended Article 102(b) on the age limit, will come to parliament later this year. This comes after last year’s election results were hotly contested amidst allegations of rigging. A 2017 Afrobarometer survey, moreover, had 75 percent of respondents declaring they would prefer to see presidential age limits maintained. Such astronomical payouts seem unlikely to materialise, although some form of bribe-for-votes will be necessary. And this despite the NRM Chief Whip’s strident claims that, “You can’t survive if you approach me to say I give you money to do your work to which [sic] you were elected. […] You imagine, unless this is something else not parliament, to approach the chief whip and say, ‘unless you give this much – Shs300m for us – we’re not going to Kyankwanzi [location of NRM Caucus retreats]’. How?! How can you tell me such nonsense? It is criminal, it is illegal, it is unethical, it is unwise.” The Office of the Chief Whip is known to routinely dole out money, however, making these principled objections somewhat less credible. Beyond Uganda, the push to strip away any remaining fetters on presidential power fits in with a regional trend. Rwanda recently scrapped constitutional term limits for President Paul Kagame. An NRM delegation more recently went on a fact-finding mission to Burundi where President Pierre Nkurunziza’s ill-fated efforts to circumvent term limits led to a spike in violence, adding to the number of internally displaced people and refugees. In a kind of authoritarian-style “benchmarking” exercise, the aim of the NRM delegation was to learn from Nkurunziza’s mistakes and to avert a similar outcome in Uganda. For instance, KANU in 2002. This entry was posted in Africa, Uganda and tagged Uganda on July 14, 2017 by Michaela Collord. President Yoweri Museveni, recently re-elected for the fifth time, continues to pursue his term of “no joking around” in spectacular fashion. After adopting the new slogan, using the Swahili phrase kisanja hakuna mchezo, Museveni has remained unusually hyperactive, doing everything from transporting water on a bicycle in a demonstration of drip irrigation techniques to personally editing routine government communiques. In recent weeks, though, Museveni upped the ante still more, taking a direct hand in snaring two civil servants and a minister in high-profile bribery cases. On March 28, the Police’s Flying Squad Unit encircled the Ministry of Finance and arrested two Ministry officials on suspicion of soliciting bribes of over Sh15b (£3.2m) from Chinese investors looking to establish a phosphate plant. This dramatic intervention came after said investors reportedly complained directly to the President, who in turn advised them to comply with the officials, the idea being to ensure the police could catch the wayward public officials “red-handed”. A second, strikingly similar incident occurred less than two weeks later. This time, the Minister of State for Labour, Herbert Kabafunzaki, was caught by security operatives from police and Special Forces Command allegedly in the act of receiving a Sh10m (£2.1k) bribe from the prominent Sudan-born businessman Mohammad Hamid. The exchange occurred during a meeting at Kampala’s five star Serena hotel while not only security but also the media—tipped off in advance—lay in wait. Again, the story was that Hamid had personally phoned the President after Kabafunzaki demanded a bribe to ignore complaints of sexual harassment from workers at the Pearl of Africa Hotel, owned by Hamid. These two Hollywoodesque operations have fuelled a heated debate. Museveni insists both interventions were aimed at rooting out corruption in the civil service and Cabinet, which he likened to a den of “thieves”. Some observers accepted this narrative, arguing that anyone soliciting bribes should be punished. Others remained more sceptical, questioning the President’s personal involvement when Uganda has an alphabet soup of anti-corruption agencies. Still other commentators argued that the entire sequence of events was stage managed to provide an opportunity for the President to perform his role as anti-corruption crusader. These more critical appraisals have considerable merit. We can take the analysis a step further, though. Indeed, kisanja hakuna mchezo not only appears superficial and performative. It is also being skilfully manipulated to further entrench—as opposed to challenge and uproot—the constellation of, yes, often corrupt interests upon which Museveni’s regime rests. To understand this point, it is worth taking a step back and revisiting Museveni’s original speech, in which he introduced his new “no joking around” mantra. In June of last year, shortly after his re-election, Museveni delivered his address to a gathering of Cabinet ministers, Permanent Secretaries and top-level members of the ruling National Resistance Movement (NRM). He used the occasion to outline a 16-point plan aimed at “fast-tracking industrialization and socio-economic transformation”. Despite the ambition of the title, the points themselves were familiar. They centred on the need for industrial expansion through foreign investment, which Museveni argued could be encouraged through special tax breaks, the installation of industrial parks, and the suppression of wages. It is a cocktail consistent with Museveni’s past embrace of IFI-backed policies. It is also a policy orientation that—perhaps contrary to the IFI’s own expectations—has helped sustain Museveni’s government in power. Observer’s interested in the political economy of NRM rule have long noted the President’s cultivation of a pro-regime business constituency composed notably of foreign investors, who despite their wealth cannot themselves pose a political threat to the regime. For Museveni, favouring foreign investors is thus both good politics and good economics. Fast-forward a few months and we see Museveni following through on his aim to flush out the “parasites.” But of more concern than the alleged efforts to solicit bribes is perhaps the ability of people like Hamid Mohammed to make a personal phone call to the President, and to get the assistance of the Special Forces Command by way of a response. Hamid is certainly not a struggling new investor just trying to make good. He was first introduced to Museveni in the mid-2000s, after which point the President allocated to the businessman 15 acres of prime land in Kampala to construct a grandiose Hilton hotel. The project is still unfinished despite being years overdu, but rather than distancing himself from Hamid, Museveni has issued warnings to media outlets following negative reporting of the businessman’s dealings. Investors like Hamid are not the only regime-aligned individuals who are receiving renewed support during kisanja hakuna mchezo. The Inspector General of Police (IGP), Kale Kayihura, is also among those whom the latest operations appear specially orchestrated to benefit. Kayihura has long served as one of Museveni’s closest lieutenants, yet he has come under increasing pressure amidst rising crime rates, allegations of police infiltration by organized gangs and, most recently, accusations of being complicit in the murder of the former police spokesman, Andrew Kaweesi. Museveni has nevertheless sought to shield Kayihura, tasking him with overseeing the arrest of the two Ministry of Finance officials and then praising him for the intervention. Earlier this week, the President reappointed Kayihura for another term as IGP. For a President who has remained in power for over three decades, it is not surprising that Museveni should be doubling down, protecting the interests of his close allies. It is also not surprising to see the promise of renewal through “no joking around” come undone. What is perhaps new, though, is the somewhat more brazen effort to dress up as an anti-corruption crusade what is, in fact, the exact opposite, namely an attempt to protect insider interests. In this business of “no joking around”, it may be that the joke is on us. 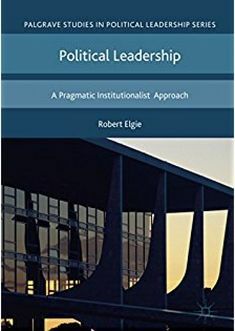 See for instance Roger Tangri and Andrew Mwenda’s 2013 book, The Politics of elite corruption in Africa: Uganda in comparative African perspective. This entry was posted in Africa, Uganda and tagged president, Uganda on May 5, 2017 by Michaela Collord. After allegations of vote rigging in the February polls, Uganda’s President of 30 years—Yoweri Museveni—has adopted a placating tone, promising that this term “hakuna michezo” (no games, no playing around). The rhetoric is certainly ambitious. Three years ago, Uganda launched Vision 2040, which projects that the country will reach lower middle income status by 2032 and upper middle income status by 2040. Now that timeframe has shrunk remarkably; President Museveni’s new wish is for Uganda to reach middle income status by 2020. But despite the promises, politics is once again getting in the way. With the presidential elections only just concluded, attention has already shifted to the next round. The main preoccupation is how to ensure Museveni’s name stays on the ballot. In 2005, Uganda’s Parliament amended the constitution to eliminate presidential term limits, thereby freeing President Museveni to contest for a third term. Museveni is now set to run up against a second constitutional hurdle. By the 2021 general elections, he will have exceeded the age limit of 75 years. The leadership of the National Resistance Movement (NRM) now appear to be testing the waters, gauging the response to a fresh constitutional amendment. In July, the NRM District Conference in Kywankwanzi passed a resolution urging Members of Parliament to move a motion lifting presidential age limits. Museveni later met with a group of MPs supportive of the reforms during an NRM party retreat before convening another meeting with district leaders shortly thereafter. In late August, an NRM MPs went ahead and tabled a private member’s bill in Parliament, calling for, among other issues, the removal of constitutional age limits for judges. However, observers judged that the real focus of the bill had little to do with age limits for judges. Once parliament initiates a debate on a particular constitutional amendment, members are free to recommend additional change, for instance to eliminate presidential age limits. The MP responsible for tabling the bill, Kafeero Ssekitoleko, is seen as close to the First Family. Indeed, it is difficult to understand how else he might come to benefit from a new security detail apparently linked to the Special Forces Command, a military unit headed by Museveni’s son. If the bill was in fact introduced to test the waters, it revealed that the time is not yet ripe for an amendment. It divided ministers when discussed in Cabinet and was opposed by both NRM and opposition MPs in Parliament. On 14 September, the Speaker of Parliament, Rebecca Kadaga, threw it out, declaring it was not for MPs to start playing with the constitution. While many believe Parliament will eventually pass an amendment, more political spade work is still needed. Above all else, elimination presidential age limits will be expensive. While the NRM may seem hegemonic and Museveni like the linchpin of the party, this should not distract from the often tense bargaining needed to retain the status quo. And Museveni’s number one tool for maintaining loyalty is money. A key strategic focus for Museveni’s largesse is Parliament, whose members are ultimately responsible for waving through any constitutional amendments. Whereas MPs received Shs5m to remove presidential term limits in 2005, the price will be considerably higher this time around. Already he has acquiesced to rising levels of parliamentary patronage. Over the past several parliamentary sessions, the legislature’s budget has more than quadrupled. The cost seems increasingly difficult to justify, not least when key sectors such as agriculture—which employs an estimated 40 percent of Uganda’s workforce—are only barely keeping pace (see Fig 1). Public opinion is certainly at odds with this increase in spending. Earlier this month, activists from a group going by the name Jobless Youth released piglets outside of Parliament, painted with party colours and labelled with the names of MPs singled out as amongst the worst offenders. This action was spurred notably by news of MPs using public funds to finance seemingly unnecessary trips as well as luxuries such as iPads (Shs 2bn/USD 590k) and cars (Shs 84bn/USD 24m). The Speaker of Parliament, Rebecca Kadaga, continues to defend Parliament’s spending, returning to what is becoming a recurring theme, namely that Parliament should get the same perks as the President: “If the public wants MPs to buy vehicles for themselves, let us first see President Museveni driving his personal vehicle […].” Kadaga has displayed an independent streak in the past—opposing measures backed by Museveni—and is believed to harbour presidential ambitions of her own. Given her latest move to scrap Ssekitoleko’s private member’s bill, she is an important figure for the President to win over. In addition to Parliament’s more routine spending, rumours abound that the President—notably through his brother Salim Saleh—is distributing money to certain MPs in Parliament responsible for mobilising cliques to back government measures. These include Ssekitoleko as well as Muhammed Nsereko and Barnabas Tinkasiimire, both ‘rebel’ MPS previously expelled from the NRM but now seemingly back in the government’s good books. Despite Museveni’s promises to knuckle down, Uganda’s economy is moving at a lacklustre pace. The lending freeze is stoking fears of more domestic borrowing, which would drive up already high interest rates and lower credit growth. Sadly, Uganda’s middle income dream is looking very distant indeed. Meanwhile in the political arena, the games never stopped. This entry was posted in Africa, Uganda and tagged Uganda on September 30, 2016 by Michaela Collord. Uganda’s elections concluded three months ago, and yet political tempers remain high. Most obvious—and perturbing—is the continued state-led repression of the opposition, including most recently the treason charges levelled against opposition leader Col Kizza Besigye. All is not well within the ruling party itself either. As parliament convened this week, the National Resistance Movment (NRM) leadership were scrambling to stave off a rebellion over the party’s official candidate for the position of Deputy Speaker. While seemingly minor in and of itself, this incident shows that President Museveni has his work cut out for him handling backbench MPs. And already he has had to resort to his trump card: money. Shortly after the February elections, the race to be House Speaker erupted in controversy. The outgoing Speaker, Rebecca Kadaga, faced a challenge from her then deputy, Jacob Oulanyah. Both NRM heavyweights organized campaign teams, and started inviting their fellow parliamentarians to meetings with promises of up to Shs200k ($60) in ‘transport’ allowances. Kadaga, a Speaker with a reputation for being independent-minded, won the support of well-known dissident MPs. She attacked Oulanyah for being new to the NRM—he used to be a member of the Uganda People’s Congress (UPC)—and for showing undue ambition. Oulanyah, in turn, questioned Kadaga’s loyalty to the ruling party. With the parliamentary caucus fracturing into rival camps, the NRM Central Executive Committee (CEC) intervened to settle the dispute. CEC opted to preserve the status quo, recommending that the NRM parliamentary caucus nominateKadaga as the official NRM Speaker candidate and Oulanyah as Deputy. This move restored a degree of calm, and the NRM caucus approved both names to be the official NRM candidates ahead of a vote in the full House. The twist came when one of the other contenders for Deputy Speaker, Mohammed Nsereko, refused to pull out of the race. Nsereko won his seat in February as an Independent. This come-back came after he was first expelled from the NRM, along with three other MPs, for disloyalty in the previous parliament. Ahead of the 2016 elections, President Museveni sought to mend fences with these four ‘rebel’ legislators, two of whom ran again on the NRM ticket, and all of whom were re-elected. After the elections, even those who remained Independents were invited to join NRM caucus meetings. Nsereko’s‘rebel’ background made his refusal to withdraw his candidacy all the more provocative. Even more troubling for the NRM top brass was Nsereko’s apparent popularity within the caucus. He also showed his financial muscle, outspending both Kadaga and Oulanyah by rewarding supporters with Shs500k ($150) at campaign meetings. With the very real threat of an embarrassing upset in the election for Deputy Speaker, President Museveni rushed to convene the NRM caucus on Sunday 15 May, four days before the parliamentary vote. He used this meeting to discipline Nsereko, who was escorted out by security after (again) refusing to withdraw his candidacy. Museveni then adopted a softer touch with the remaining MPs.He suggested he might reimburse their inauguration expenses, as many newly elected parliamentarians planned expensive parties for their supporters. He also promised to reconsider his decision to block the Income Tax Bill, which sparked a public outcry after MPs exempted their own allowances from taxation. Seemingly fearful that money might not speak loudly enough, Museveni took a further, unprecedented step. On Thursday 19 May, he attended the parliamentary session, arriving shortly after Kadaga was elected Speaker and just as voting began for the position of Deputy Speaker. After such an aggressive campaign, it was no wonder when Oulanyah won 300 out of 413 votes. But this clash between Museveni and the NRM caucus promises to be one of many as the 10th Parliament gets underway. It is in line with a recurring pattern in Uganda. At the start of a parliamentary term, a fresh cohort of NRM MPs—59% new in this parliament—arrive having fought a bruising and expensive election battle. For many, loyalty to the NRM is conditional at best, leading President Museveni to buy MPs’ support at a seemingly ever more inflated price. This year the tug-of-war between Parliament and the President has started earlier than ever before. Sensing, at least for now, that parliamentary independence is in vogue, newly elected Deputy Speaker Oulanyah urged his fellow MPs to “choose national interests over party allegiance.” Whether the irony was intentional is anyone’s guess. This entry was posted in Africa, Uganda and tagged president, Uganda on May 20, 2016 by Michaela Collord.